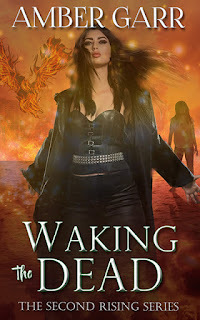 Summary from Goodreads: Camille and Drake are on the run from the head of the Centaur Council, seeking the mythical pasture of Thessaly and a family heirloom that may keep them safe. 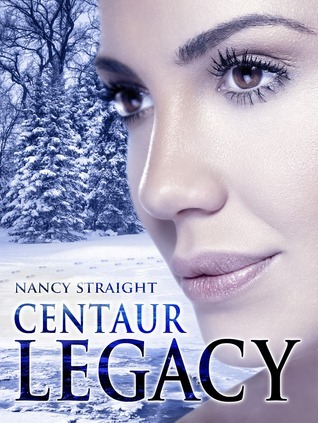 As their journey progresses from the rolling hills of Ireland to the snow covered forests of South Dakota, Cami learns more about her mother’s secrets, including a twin brother and a Centaur legacy that puts a death warrant on her entire family. The Review: I liked this one better than the first. It picked up right where Blood Debt ended and was full of action from start to finish. I like those kinds of books where you barely have a chance to catch your breath, and Nancy didn't disappoint. We get to see Camille learn more about who she is and accept her powers with grace. I'm glad that there was more about Drake and Camille's relationship because I had a hard time feeling it in the first installment. Drake is an honorable Centaur, so honorable, we're thrown for a loop toward the end of the book. I'm also enjoying learning more about the secondary characters and am intrigued to see how that plays into the bigger plotlines. In all, this one kept me guessing and I'm glad Centaur Legacy is now out because I want to know how Drake is going to get through customs! The Good: Fast-paced, lots of action and more development on the romance side. The Issue: Would like to see more Cameron and some twists that I'm not sure how they will play out. The Rating: 4 conch. Exciting second book and looking forward to the next.